Welcome back to the Chops blogs! Today we’re going to begin a brief series on holiday gift ideas. With the holidays rapidly approaching it’s time to think about a gift for the percussionist or drummer in your life. Today we’re going to look at some of our favorite accessories that are cheap and practical. 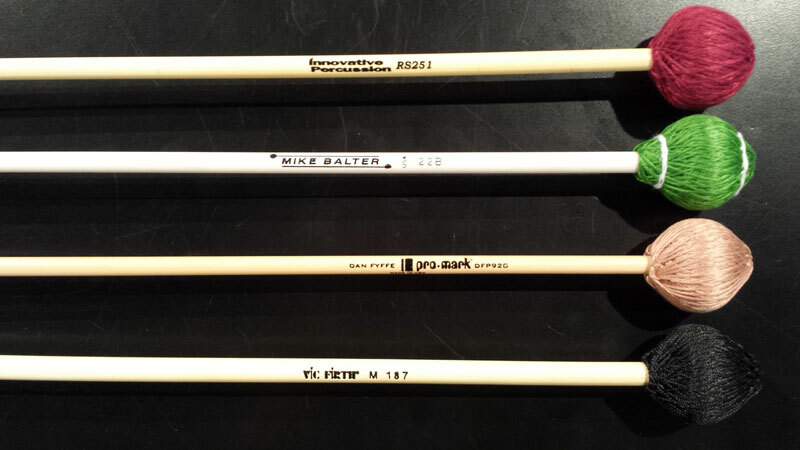 Believe it or not, a drummer and percussionist can never have too many sticks or mallets! 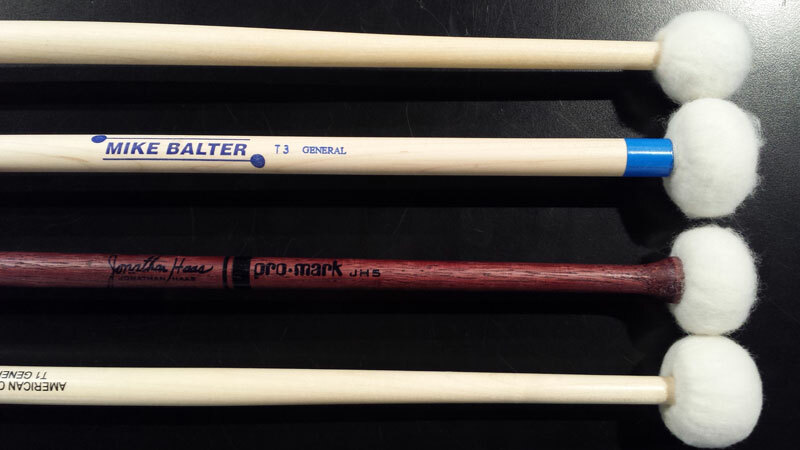 As we’ve discussed here many times, every drummer and percussionist will have their own stick and mallet preferences, so ask them before making a purchase. Different brands often use the same or similar model names, so be sure to ask for a specific brand and model. For instance, while every drum stick manufacturer makes a “5A” model stick, your drummer might prefer brand X’s model over Y. 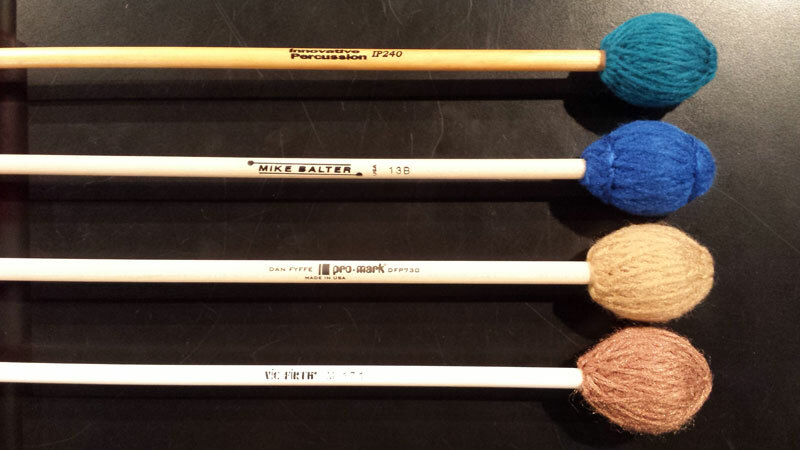 If you are purchasing mallets for a percussionist, consider expanding their collection. Consult our guides for the beginner and intermediate percussionist. Drum keys are a crucial tool for drummers and percussionists, regardless of their experience or area of specialty. 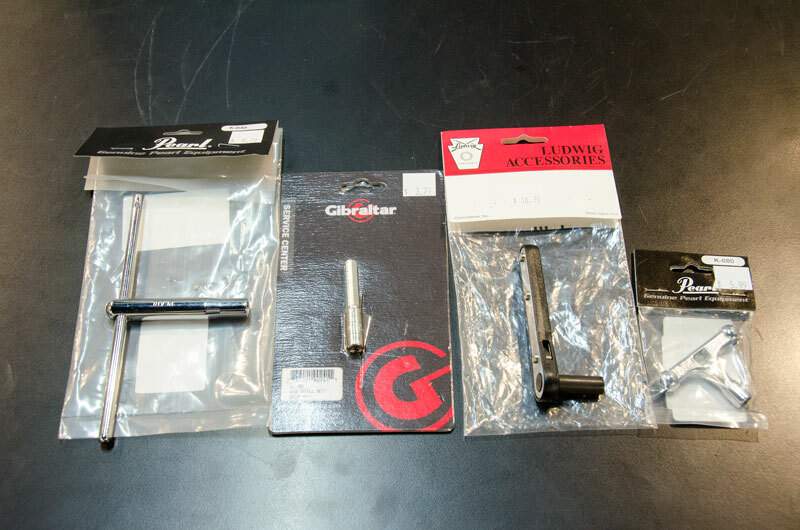 We carry many different models, including standard, ratcheting, and marching keys. 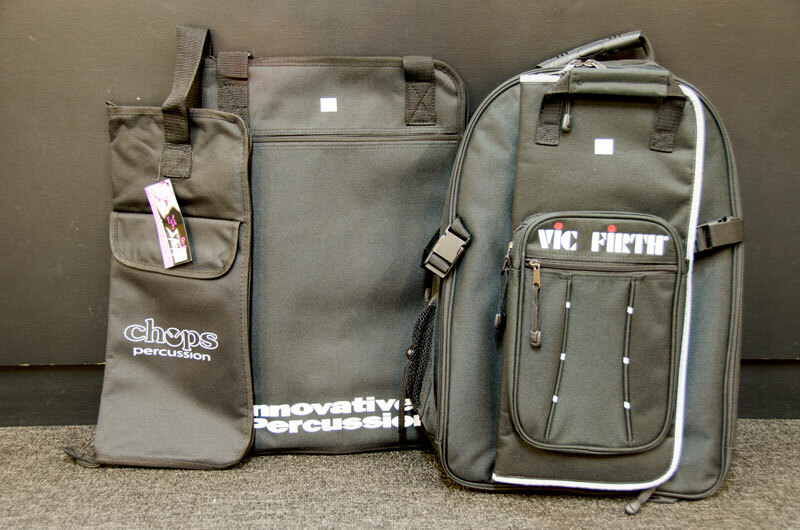 Every drummer and percussionist also needs a bag to carry their sticks and mallets. We carry bags that are small and simple, to bags with many pockets that can carry dozens of mallets. Just like drum sticks or mallets, every drummer and percussionist will appreciate new drum heads. Even the best, most durable head will eventually wear out and need replaced. Size – the diameter of the head, measured in inches (14”). Like we discussed with drum sticks and mallets, be sure to know the specific brand, model, and size of drum head. If you are unsure of the size of the drum, measure it with a tape measure, or bring it with you to the store. Giving a gift to a drummer or percussionist doesn’t have to be expensive! Drum sticks, mallets, drum keys, bags, and heads are important, but inexpensive items that every drummer and percussionist will appreciate. Please contact us to purchase any of these items or help finding another gift! Welcome back to the Chops blog! 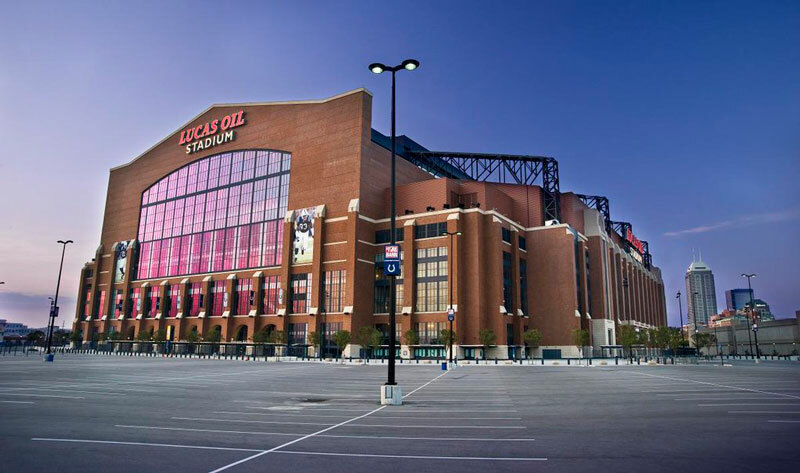 Over the weekend marching bands from across the nation gathered at Lucas Oil Stadium to participate in Music For All’s Bands of America Grand National Championships. The Marian University Marching band also performed the national anthem, and closed the evening with an exhibition performance. For full results, please visit www.musicforall.org. We’d like to congratulate all the schools that participated. We enjoyed your performances and look forward to seeing you again next year! Enjoy some well-deserved time off! The team at Chops Percussion would like to congratulate the students, staff and parents of all the participating schools on another exciting marching band season! It’s amazing to witness the hard work and dedication that goes into putting a marching show on the field, the organization of getting to contests (or hosting contests) every weekend, and the teamwork of working together to improve week by week to be the best they can be. State finals is where the hard work pays off, coming from the field in the form of incredible performances of energy and emotion. One of the best things to see is the display of emotion in the tunnel after a great final run! Congratulations to everyone involved with performing and constructing these shows, along with all the support staff who made it possible for the students and staff to do what they do! Welcome back to the Chops blog series on mallet FAQs (frequently asked questions). Last month we addressed the mallet needs of the beginning band and orchestra student. Today we’re going to discuss the needs of the intermediate student. After several years in band or orchestra your student will need to expand their mallet collection as the music they perform requires an expanded selection of instruments. While your student will be able to continue using the mallets they already have, many of these new instruments, such as marimba, vibraphone, timpani, and accessory instruments, will require unique mallets. For both marimba and vibraphone, the intermediate student can normally get by with one pair of mallets for each instrument. We recommend a “medium” mallet that will work well in most situations. Both styles of mallets can also be used on suspended cymbals. Those mallets are pictured here. To understand the differences between marimba and vibraphone mallets, please read our previous article here. The intermediate student will also start learning timpani. For an experienced student learning timpani for the first time, a “general” mallet will satisfy most requirements. This style mallet will not be too hard or soft, and will allow the student to perform most music reasonably well. As we’ve said many times, mallet and stick choices are a matter of personal choice, and every student will have a different brand and model preference. Also, be sure to consult with the student’s director, percussion instructor, or private teacher before making a purchase. Please contact us for our recommendations or assistance finding mallets. As your student progress from an intermediate to advanced percussionist, their mallet collection should continue to grow. Stay tuned, next time we’ll be discussing the mallets an advanced percussionist should own.